Kahn Academy is an online tutorial site. Students who master concepts faster than their classmates can use these tutorials to work at a faster rate. This site will also allow students to go deeper into a given topic, allowing for a richer understanding of concepts. The Math League is a competitive math league for above average students in grades 4-12. In many classrooms, gifted and talented students are not challenged to their full potential. Giving students the opportunity to participate in math at higher levels will keep students engaged and interested. Ted Talks offers short lectures on lots of deep mathematical topics in a way that higher level students will find both engaging and thought-provoking, often providing a gateway to a deeper understanding of concepts and ideas. 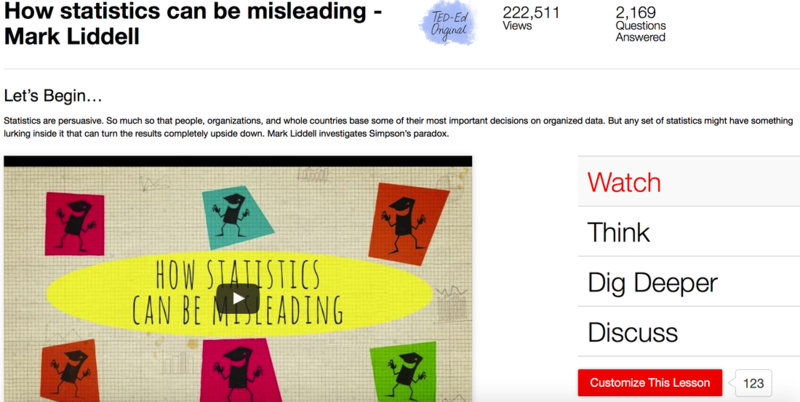 TED-Ed is a secondary site that encourages higher order thinking with interesting videos and lesson plans. Students are asked to "dig deeper" into a topic and answer open-ended questions for guided discussions. Frax is an IOS app that explores the world of fractals. Users can both create and explore these beautiful designs. This app allows more advanced students to gain an understanding of the role mathematics plays in both science and the world itself. Tynker is a coding program app for the iPhone or iPad. Encouraging students to learn to code can facilitate a lifelong interest in math and science. This type of app can be used to decrease downtime and increase engagement.